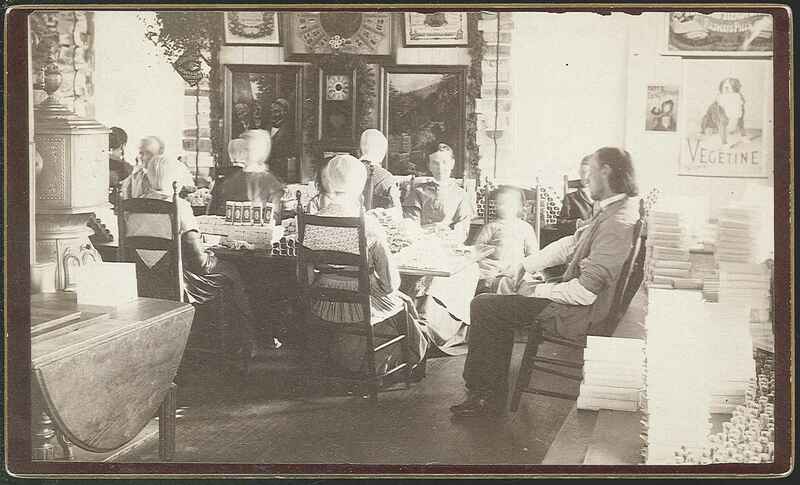 Medicine Packaging Room, Center Family, Mount Lebanon, NY, ca. 1880. Shaker sisters and young girls work at packaging A. J. White’s Mother Seigel’s Curative Syrup. Sisters bottled, labeled, and packaged the medicine. 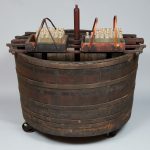 Vat with bottles and carrying case, Center Family, Mount Lebanon, NY, ca 1860s. This vat was used for mixing medicinals made from barks, flowers, leaves, and chopped roots of various plants soaked in a solution. 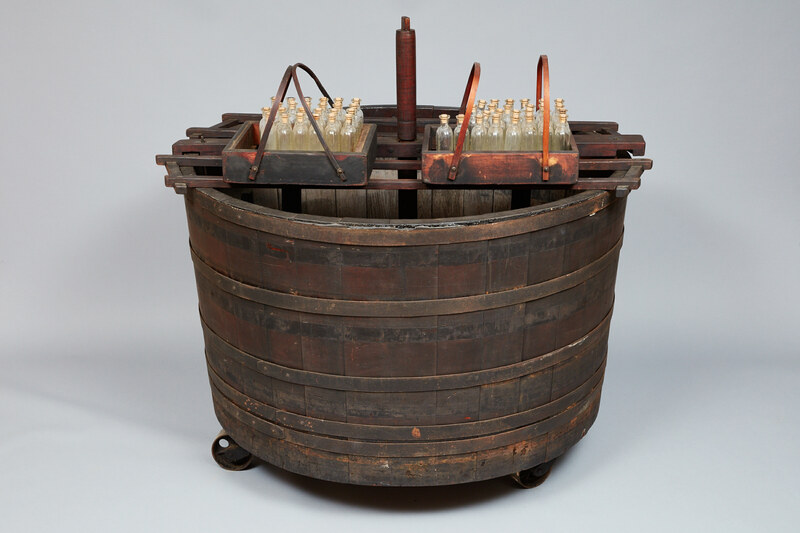 Shaker sisters were an integral part of manufacturing botanical medicines at Mount Lebanon, filling, corking, labeling, and boxing bottles for shipping. After the Civil War, when the medicinals business flourished, many outside manufacturers subcontracted with the largely female Shaker workforce, finding them well trained, disciplined, and honest. 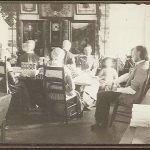 Among other products, Shaker sisters produced nearly 24,000 bottles of Norwood’s Tincture of Veratrum Viride, one of the largest selling medicinal preparations in the world at the time.